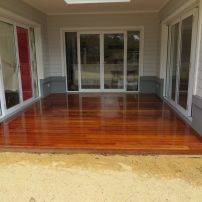 Merbau Deck at front entry to house. 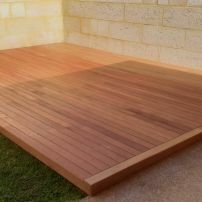 5.5 X 3.6 Merbau Deck with border. 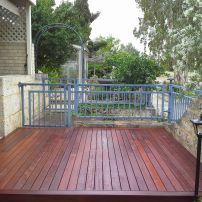 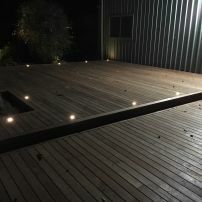 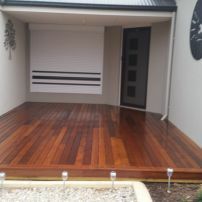 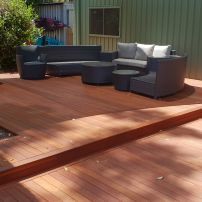 commented on "Merbau Deck 2"
90 X 22 ACQ treated pine standard grade decking boards have been used in this deck.